Magazine advertising has been on the rise in recent years despite the growing popularity of other platforms like digital and social media. Although regarded as one of the more ‘traditional’ media, it has its benefits, particularly for advertisers. Unlike newspapers, magazines offer platforms that are more targeted. 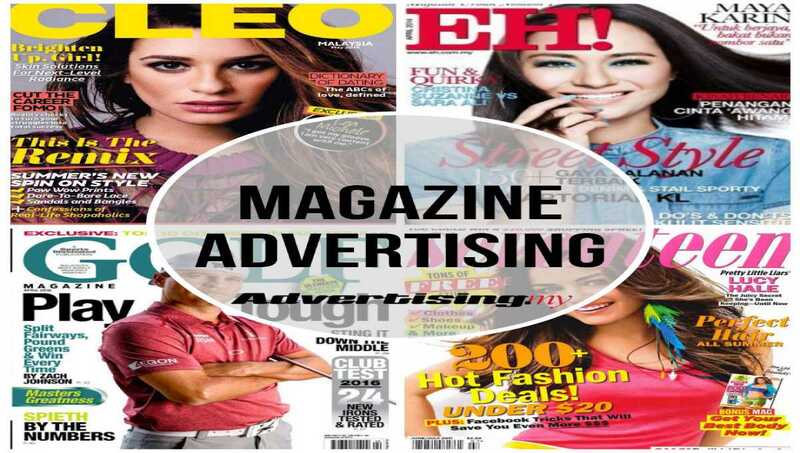 This simply means that by advertising on magazines, brand owners can now choose who they want to reach. How it works really is that magazines are designed to offer (in most cases) a single theme or subject matter. The readers who read these titles are those who would have a specific preference of the subject matter. This is a stark contrast as compared to newspapers which are more meant for the mass market. This would also mean that the circulation would naturally be a lot lower than newspapers. Where this is concerned, newspaper circulation would usually go into the 6 digit numbers while it would be a far cry for magazines which would only be in the low 5-figure brackets. To understand how advertising in magazines work, the costing of producing a title must first be understood. In the past, magazines rely fully on circulation. This would then be used as the selling point for selling media spaces. The more established titles will have the circulation numbers verified through organizations like ABC (Audit Bureau of Circulations) to better their advertising opportunities. In today’s environment, the game-plan has changed considerably. Magazine titles are now more inclusive of other media. A lot has been said and discussed about offering content from magazines through the digital platform. This is because there has been a growing fear that readers will start depending fully on digital content instead of printed titles. As such, magazine owners have started incorporating more integration into their content. This includes offering mobile apps which can be used to complement their printed counterparts. Readers now get more than just content. They are able to read and enjoy a better experience as they can now view more pictures, text and even videos. In fact, publishers now have to use more engaging and inclusive experience for its readers. In fact, most of all the magazine titles today are mobile ready. Magazine publishers will now have to make a firm decision in order to move forward. This means that while the market is getting more competitive, they have new opportunities as well. Having a clear vision in moving forward would make a big difference to how the competition will spice up. The fast changing landscape makes it all the more exciting. Magazine publishers need to accept these changes and move forward. One of the biggest challenges that magazine have to face in recent years come from both external and within its own market. While magazines are known to be more targeted and focused, newspapers have been heading into a similar direction. This is where newspapers are offering special pullouts on certain days of the week. This is where there is a special segment solely on cars, beauty or fashion. Such an occurrence mean that magazines could well be losing a lot of ground as the frequency of publishing the titles are slower than newspapers. When this happens, the content published by the magazine might be obsolete by the time it hits the newsstands. Another problem that magazines are facing is in circulation. While embracing the digital content platform might work, it seeks to encourage more readers to stop buying magazines but to read them online. There were about 400 magazine titles in 2013. A year later, it grew to more than 450 before dropping to about 420 in 2015. In 2013, magazine adex was around RM270million. This has since dropped steadily in the next 2 years. In 2014, magazine adex was around RM250million and it dropped to around RM180million in 2015. These media owners carry many titles under their umbrella, often offering a variety of different themes and subjects to target different readers. Among them, Blu Inc is the market leader. In 2013, Blu Inc collectively commanded about 40% of the market share which has grown to close to 50 by 2015. Meanwhile, Group Majalah Karangkraf comes second with an average of 20% market share throughout the 3 years. Below the 3 titles mentioned, other titles are getting around RM5million and below each year. Gatefolds – This usually comes in different configurations like triples, sides, doubles, etc. In the last recorded number, women magazines have the highest number of titles in the magazine publishing industry. There are close to 90 women magazines in all languages published in Malaysia. Coming close are magazines that provide general interest, lifestyle and others which is about 70 titles. There are about 40 education and children magazines and about 35 professional and marketing titles.